Four Seaparkers attended the home parkrun on 7th November. Jonathon Bell, Gareth Hamill, Robert Steele and Lynda Shannon, who was first female home with 22:18. No PBs this week so there’s no point in talking about it further. 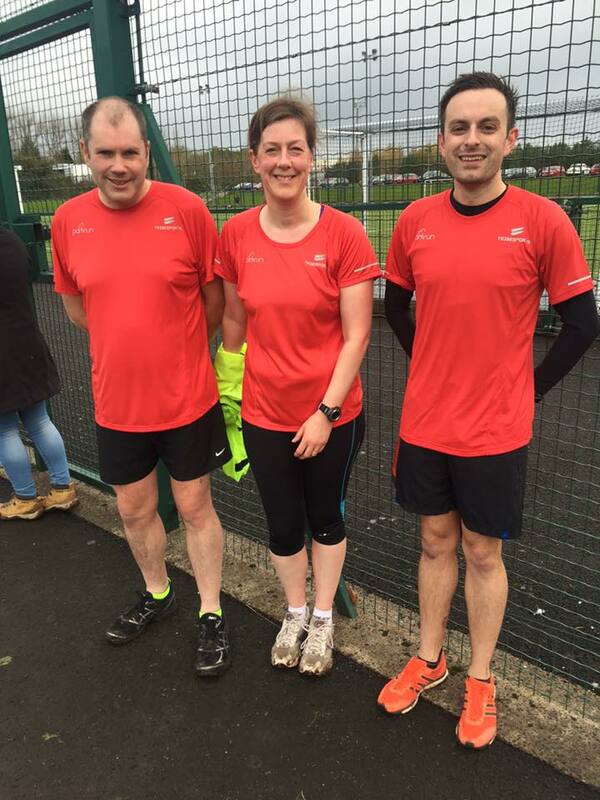 There was another big race on 14th November with a lot of Seaparkers playing ‘I’m a trail runner’ @ Tollymore + a few more where saving their strength for the Decathlon and Mo Running races the following day, so only a few members partook in running a parkrun on 14th. 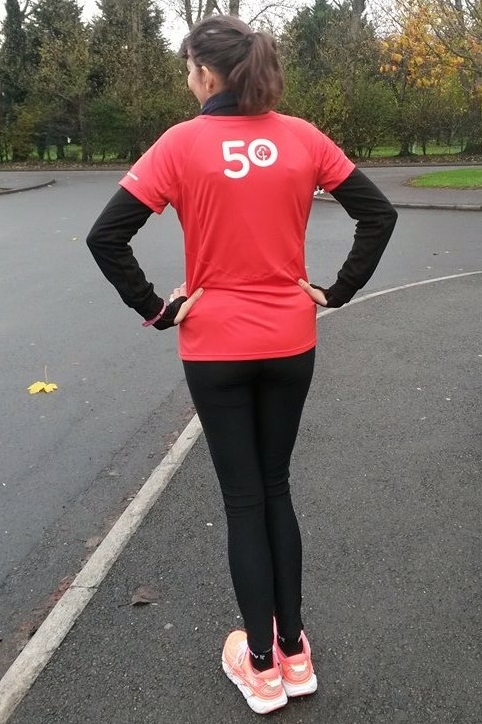 Lynda Shannon was the first female home again (yawn) with 22:13, with Robert Steele, Allan Grant, Andrew Smyth, Derek Kane, Ruth Hawkins, Glenda Murray (sporting her new 50th parkrun top) and Julie-Ann Mitchell also in attendance. Again no PBs this week. What’s going on here? Glenda Murray showing of her new 50 parkrun top. I’d like to take this opportunity to point out the wonderful work the volunteers do. Especially the person who did the barcode scanning on 14th, it was flawless. Bravo! The 21st was when the competitiveness really came out in everyone, as attending Carrickfergus on this date (either running or volunteering) gained Seaparkers team points in the relay challenge later that same day. Ian ‘If you’re not first you’re last’ Cleland, Charlie ‘I wonder what it’s like to get 1st place’ McCormick, Brendan ‘I would beat you all if I wasn’t running with my kids’ Rice, Robert ‘I need a new running buddy as Colin’s injured’ Murray, Iain ‘Will someone please add me to the Facebook group’ Hunter, Andy ‘Grumpy Umpire’ Smyth, Bobbie ‘A marathon is just a warm-up’ Irvine, Derek ‘I’m not a runner, I’m a cyclist’ Kane, Gareth ‘I’m just taking the dog out for a walk’ Hamill, Trevor ‘Howling Wolf’ Lamb, Phillip ‘My wife thinks I’m Fabulous’ Poag, Karen ‘I’m the only Seaparker to get a PB today’ McMaster, Alison ‘Sunglasses’ Welsh, Glenda ‘I’m going to beat Trevor Lamb to 100 parkruns’ Murray, Karen ‘Strava Crowns are Fabulous’ Poag and Julie-Ann ‘Crown Stealer’ Mitchell all ran on 21st. Gareth ‘I’m just taking the dog out for a walk’ Hamill. Both Karen Poag and Julie-Ann Mitchell came in @ the exact same time, not even a second apart. What happened to Kann? I hope she makes another appearance. Bobbie Irvine was acting as the 25 min pacer. He should be applauded for coming in @ 24:49, but I think he was only doing it to save his energy for the relay challenge. He shouldn’t have bothered as the team he was on came in last. 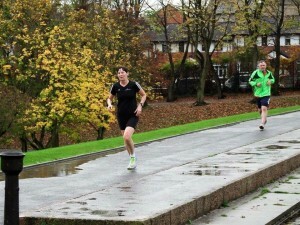 On the plus side a Seaparker finally got a PB @ the home parkrun in November. 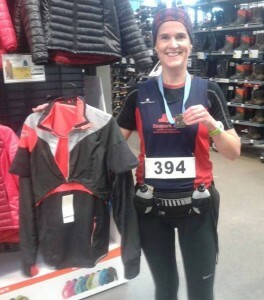 Kudos to Karen McMaster for getting a new PB of 29:28 on the 21st. The newest 50 parkrun t-shirt members. 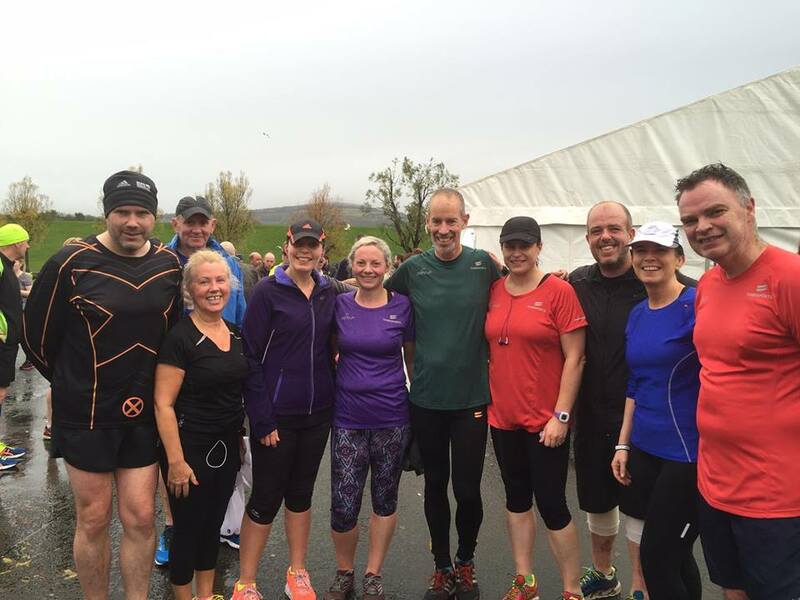 Twelve clever souls decided that the 28th was not a day to be a parkrun tourist due to the really really bad weather (as opposed to the really bad weather we normally get this time of year) and made the short journey to Carrickfergus parkrun. Robert Murray was the first Seaparker home (but only because others where saving their energy for the Seeley Cup 10K later that same day) and was followed by Paul Daniels (who is only the 2nd Seaparker to get a PB @ Carrickfergus this month with 22:06), Jonathan Brown, Derek Kane, Marie Nicholson, Rebecca Tester, Susan Kane, Allan Grant, Neill Harper, Brendan Rice, Philp Poag and Colin McCrum (who was walking the course due to an injury). Brendan ‘I would beat you all if I wasn’t running with my kids’ Rice warming up for the Seeley Cup. 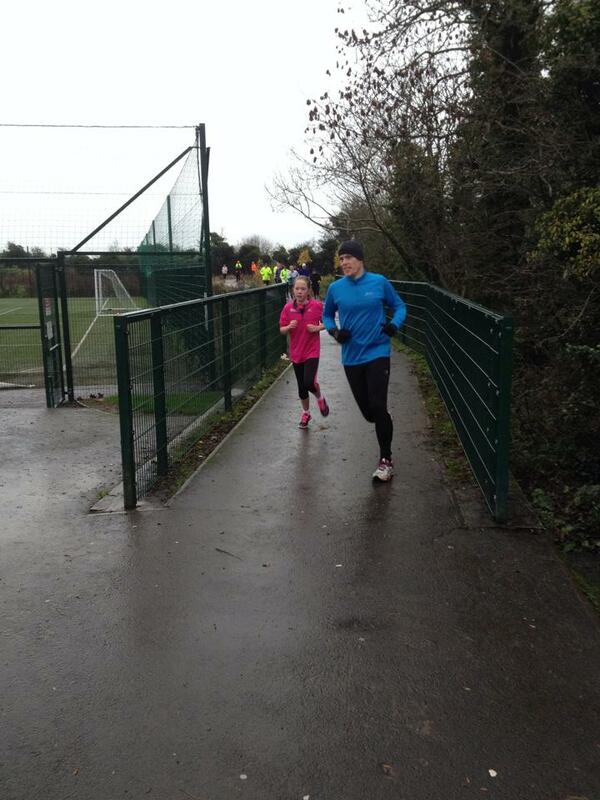 The 28th November did see the 1000th Carrickfergus parkrun being complete by a Seaparker. 71 different Seaparkers have now completed 1001 runs @ the home parkrun (as of 28/11/15). Technically (as the results would be different if all members had Seapark AC listed as their club in their parkrun profile) the 1000th Seapark finisher was Phillip Poag, who was helping Jog Carrickfergus members cross the finish line @ the latest Jog graduation. Remember to pat him on the back next time you see him. Congrats Mr. Poag. 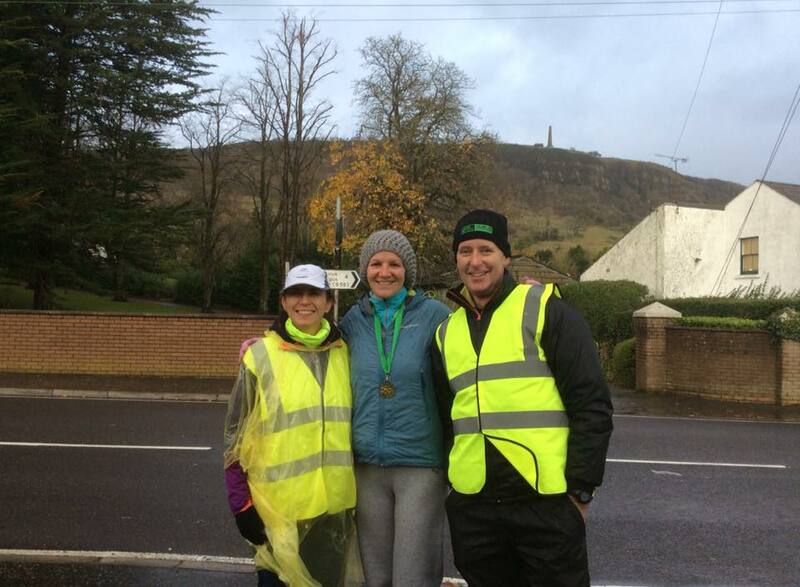 Phillip Poag hiding in the background with Seapark AC and Jog Carrickfergus. It was Waterworks 5th anniversary cakerun on the 7th November. Seaparkers Allan Grant (first Seaparker home), Philip Poag (first run @ Waterworks), Trevor Lamb (PB for Waterworks with 25:58), Ann McCracken (first run @ Waterworks), Alison Welsh (PB for Waterworks with 28:33), Karen McMaster (PB for Waterworks with 30:05), Karen Waring (first run @ Waterworks & her first run back) and Karen Poag (first run @ Waterworks) made up part of the 302 runners in attendance with Mr. Parkrun himself, Paul Sinton-Hewitt. FYI he wasn’t a real Mr. Man, such a disappointment. 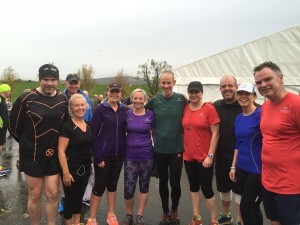 Seaparkers with parkrun founder Paul Sinton-Hewitt. Allan Grant making sure he’s the first Seaparker home. I know what you’re thinking, Allan Grant first Seaparker home? Really? Where was Bobbie Irvine? Where was Ian Cleland? Good questions. Bobbie wasn’t swayed by the cake on offer @ Waterworks and went to Antrim instead. Didn’t no one tell him that Andy’s parkrun challenge has ended? He was the first Seaparker home (well, he was the only Seaparker home) taking the 4th spot overall. While Ian showed the folks on the hill how it was done with his first Stormont parkrun by taking the podium spot in 19:34. 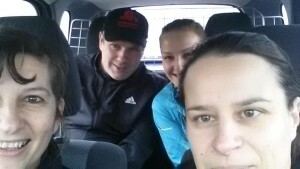 Ian Cleland’s smug selfie prior to coming 1st @ his first Stormont parkrun. Ian Cleland way, way, way ahead of everyone else. 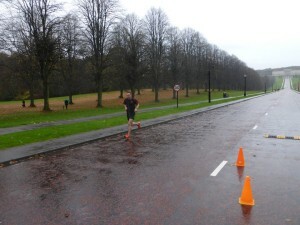 Brendan Rice was the only Seaparker to do a bit of parkrun tourism on 14th with his 10th appearance @ Belfast Victoria. He completed it in 20:05, which was only 7 secs shy of his PB @ Victoria. 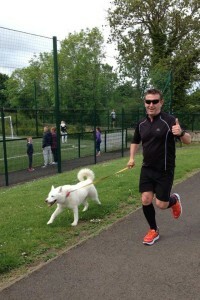 This was Brendan’s 75th parkrun. No t-shirt for this I’m afraid, but worth a mention. 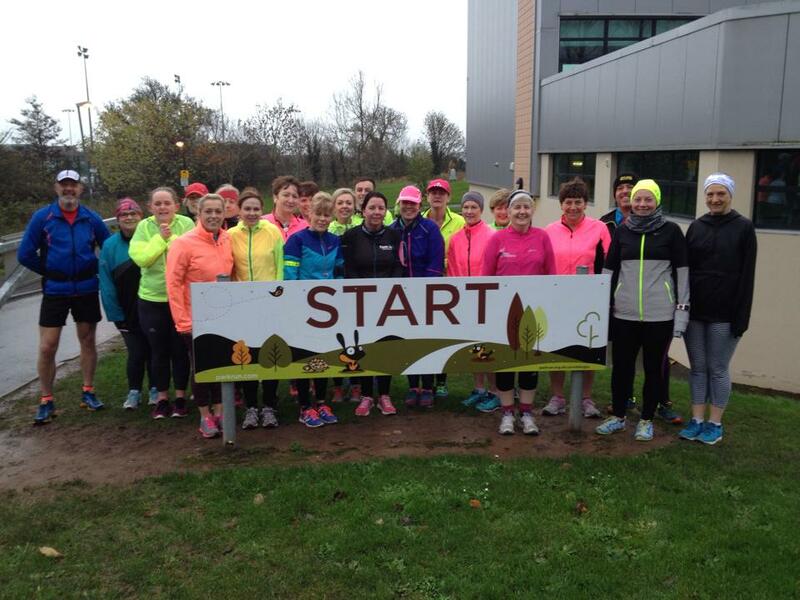 Again only one person represented Seapark in an away parkrun on the 21st. 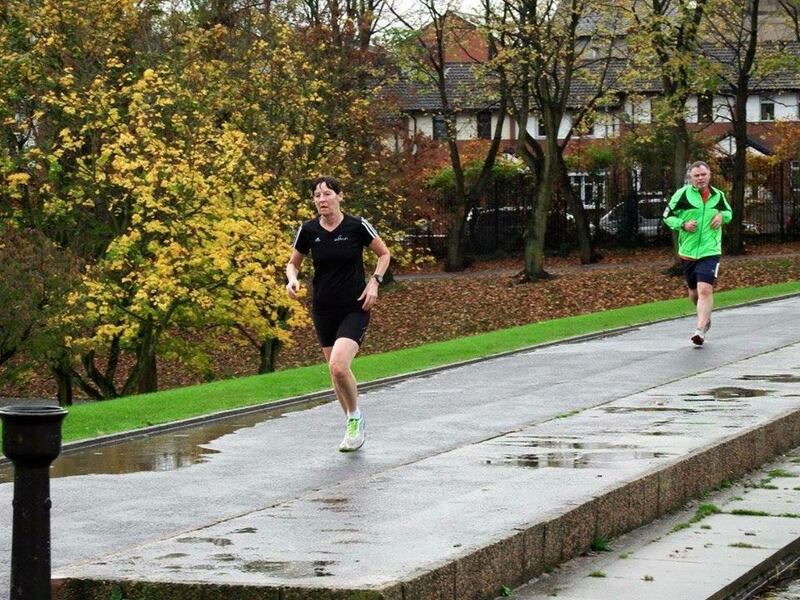 This time it was Karen Waring’s turn, who did her 5th run @ Valley and her 2nd parkrun back since she started running again. Not a PB but a hard course to start back on. 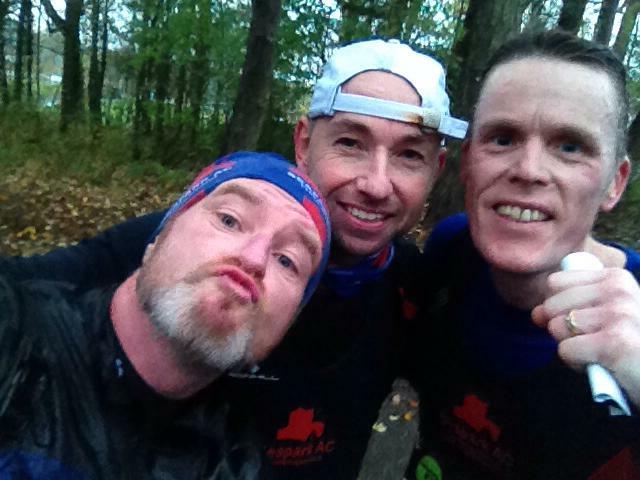 On 28th Gary Craig (on his 2nd parkrun outing) and Ross Gilmore (on his 3rd) braved the elements @ Antrim. Gary managed to get a one second PB on his previous parkrun time (which was @ Carrickfergus). On the same day four wet Seaparkers went to Stormont. Trevor Lamb (first Seaparker home), Sara Johnston, Glenda Murray and Karen McMaster all got drenched after taking a nice wee easy stroll around Stormont Estate. I know what you’re thinking, Trevor Lamb first Seaparker home? Really? Where was Allan Grant? Trevor Lamb, Sara Johnston, Glenda Murray and Karen McMaster’s car selfie prior to a very wet Stormont parkrun. 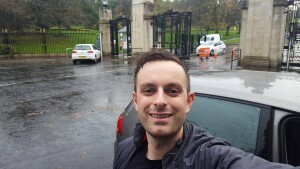 The results of Andy’s 2015 (yes, it will be back in 2016) parkrun challenge were announced @ this years Seapark prize giving ceremony on 21st November. To complete the challenge members needed to do at least one run @ Antrim, Carrickfergus and Victoria + volunteer @ least once @ Carrickfergus. The winners are as follows. A special mention was given to Jonathan Beattie, Ruth Hawkins, Trevor Lamb, Colin McCrum and Robert Murray who all completed the challenge. It needs to be pointed out that Colin McCrum had already completed the challenge before he knew there was a challenge to complete. So it just goes to show, if you volunteer @ Carrickfergus parkrun every once in a while, and do a spot of parkrun tourism, you too may end up with a bit of bling @ next years prize giving. Gillian Barnhill (centre) pictured at the East Antrim Marathon Series after completing the Half Marathon, accompanied by Gary Connolly and Karen Waring who were marshalling at the event. Gillian was first lady completing the event in 1:51:37. One thousand athletes descended on Ormeau Park, Belfast today for the annual Seeley Cup 10k road race. The popular race is seen by many as the road racing ‘season closer’. 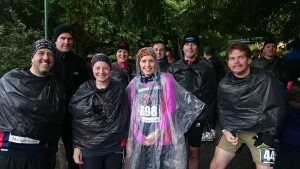 Seapark were well represented despite the wet and windy conditions and the relatively flat lapped course, which starts on Ormeau Embankment and finishes in Ormeau Park, saw some Seaparkers achieving PB’s. 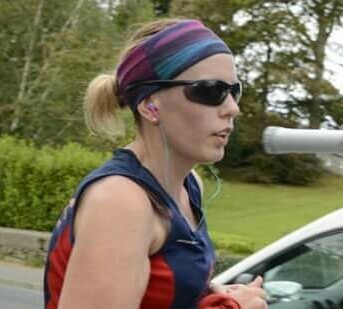 The winner of the Seapark Monthly Sunglasses award in October goes to Alison Welsh. Jennie Haggan and Ronald Simms were amongst just shy of five hundred runners who took part in this year’s Born 2 Run Gosford 10k in Gosford Forest Park just outside Armagh. Gosford is the second race of the event management company’s Run Forest Run Series. The tough but scenic course proved popular with competitors and despite it being such a challenging route, still both Jennie and Ronald produced notable times. 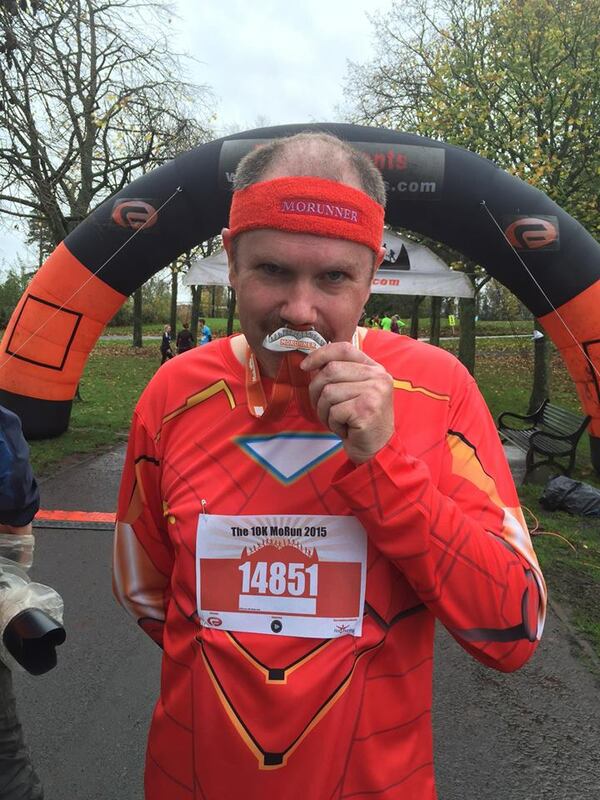 Trevor Lamb and his moustache taking part in the annual MO Run 10k in Ormeau Park. Trevor finished the 10k in just over 58 mins – 12th position overall! Caroline Salters had a great run at Decathlon Half coming home 3rd lady in a time of 1:42:52. In the men’s race Robert Murray also produced a PB finishing in 1:38:43. 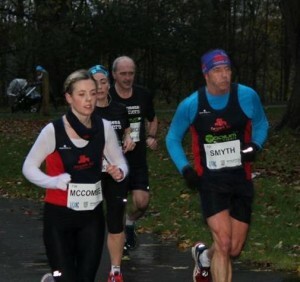 5 Seaparkers took part in the 10k event with Brendan Rice first Seaparker home in a time of 42 mins. 18 athletes from Seapark travelled to beautiful Tollymore Forest today to take part in the various events put on by Extreme 26. In the full marathon, Charlie McCormick had a strong run bringing him first Seaparker home in a time of 3:53. 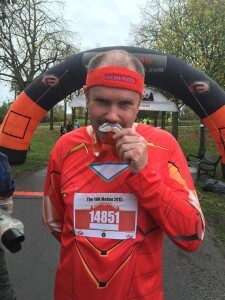 In the Half Marathon event Ian Clelland had a great run finishing in 9th position overall in a time of 1:31:39. 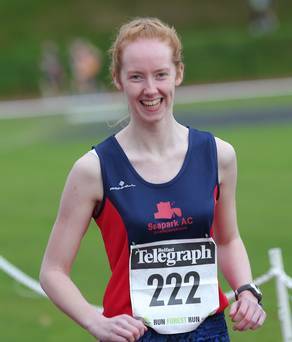 First home for the ladies in the Half was Gillian Barnhill in a time of 1:47:24. In the 10k Nicola McKay and Thomas Dunlop had a joint finish in a time of 1:05:27. 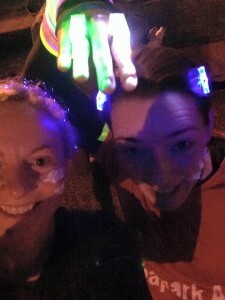 Julie Ann Mitchell and Karen Poag were amongst more than 1000 runners who conquered the long trek up Stormont Hill twice in the 10k Run in the Dark event on Wednesday evening. Both girls finished together in a time of 58:33/:34. Winter comes alive in London’s Queen Elizabeth Olympic Park when hundreds of runners take park in the Winter 10k series which takes place on the first Saturday of every month October to March. 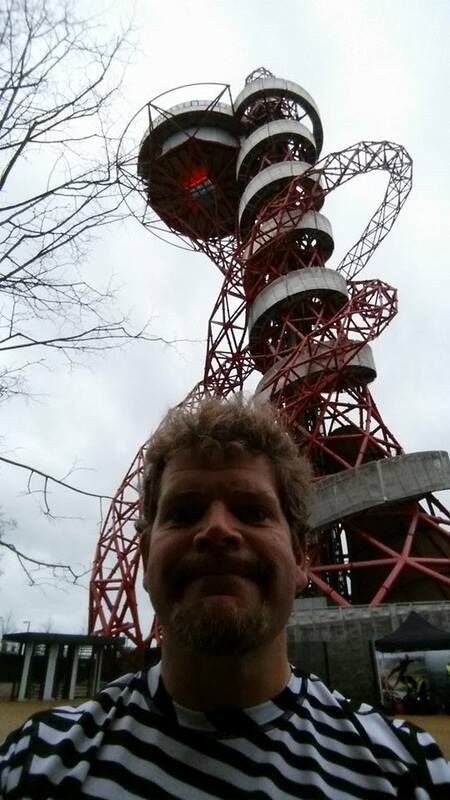 Amongst the November Olympians was Seapark’s Neill Harper who completed the windy course in 54:06.